All Week is a family owned local hvac business that’s committed to outstanding service delivery and efficient customer service with a good reputation among Local Frenchtown residents. There services are available 24/7 for emergency ac services during summer and other seasons. 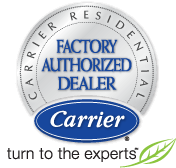 Our services are customized and unique to each customer and our technicians are skilled in all brands and different types of ac units as our services support all major brands making us the favourite service company of Frenchtown. We have a 24 hours daily phone service that attends to emergencies. In any case of emergency breakdown, reaching us only takes a call and within 30 minutes, we’ll be at your doorstep. All over Hunterdon County and Central New Jersey, our services have been enjoyed by hundreds of homes, offices and buildings. Ranging from inspections or installations to complete HVACs system installation and maintenance, we are qualified to deliver quality service at cheap rates. Installations, repairs and maintenance of rooftop air conditioning systems. Complete commercial HVACs system installations and service. Needing ac services, call All Week. We’ve serviced all of New Jersey and its neighbourhoods with quality service and outstanding customer service.